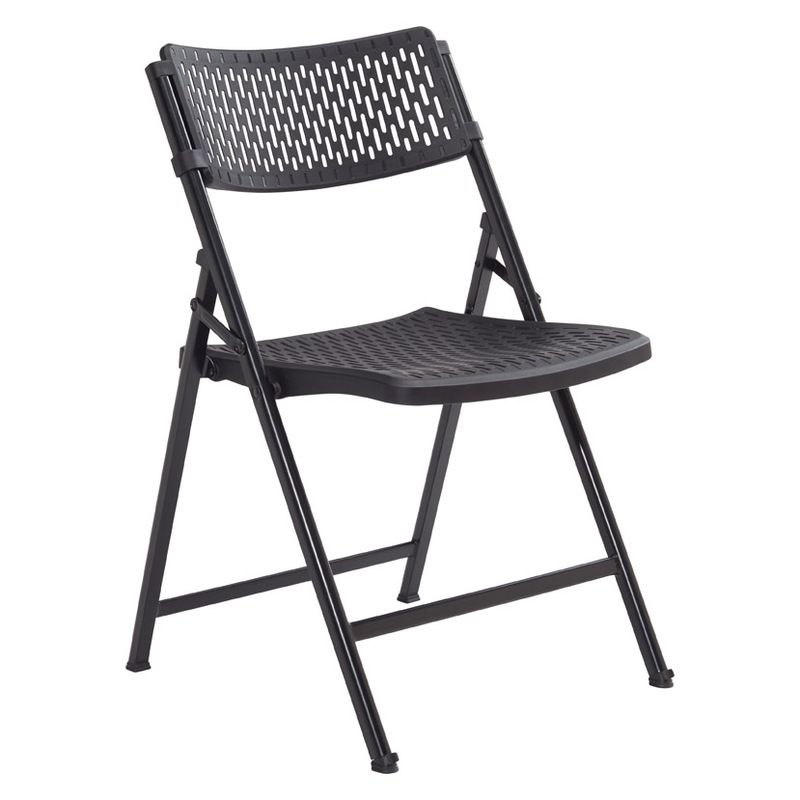 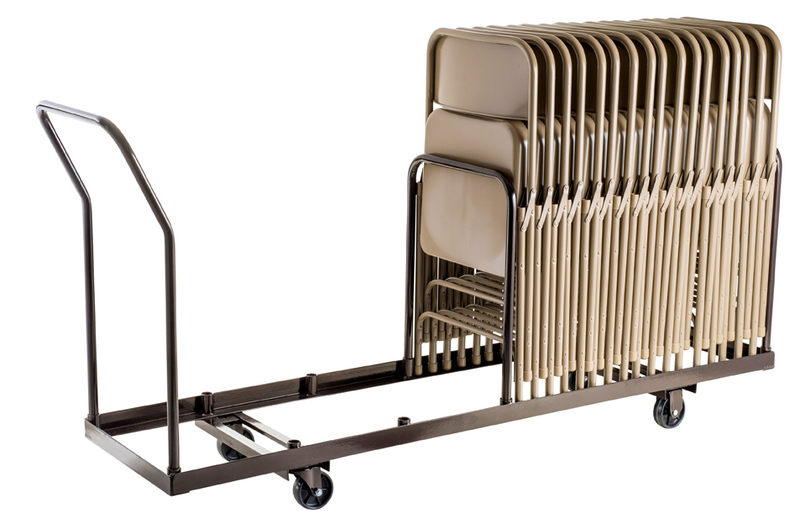 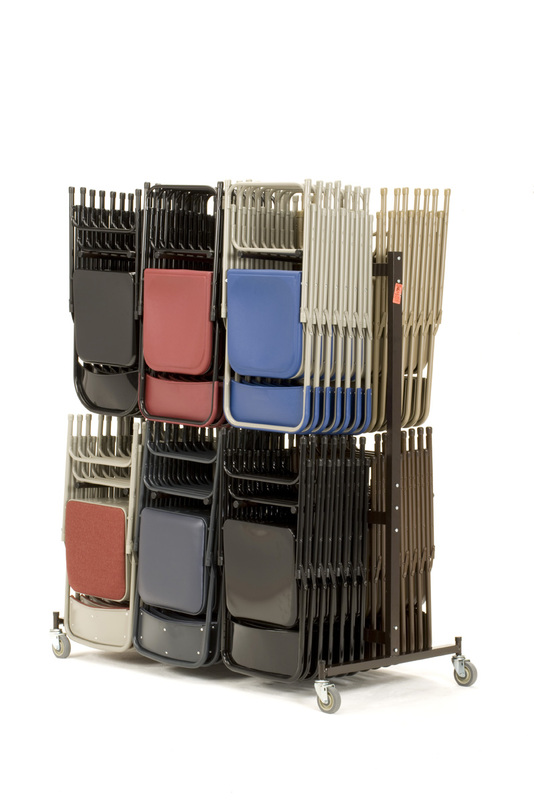 The DY1400 Chair Dolly stores and transports 50 NPS folding chairs in the vertical upright position. 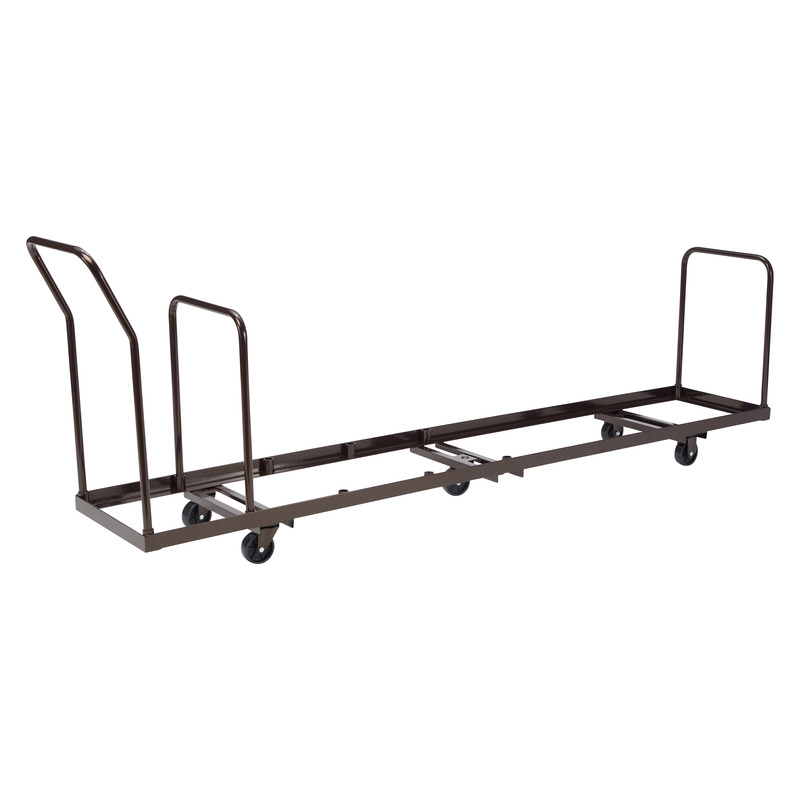 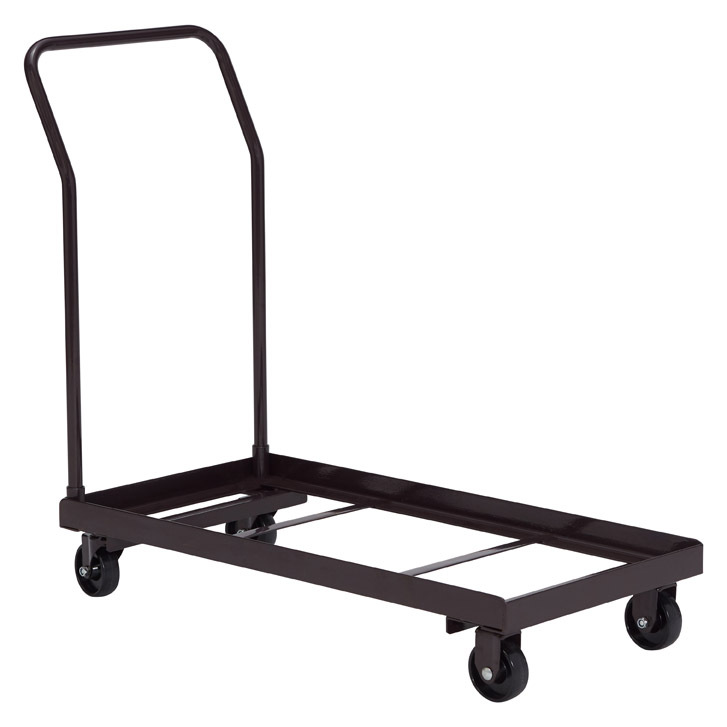 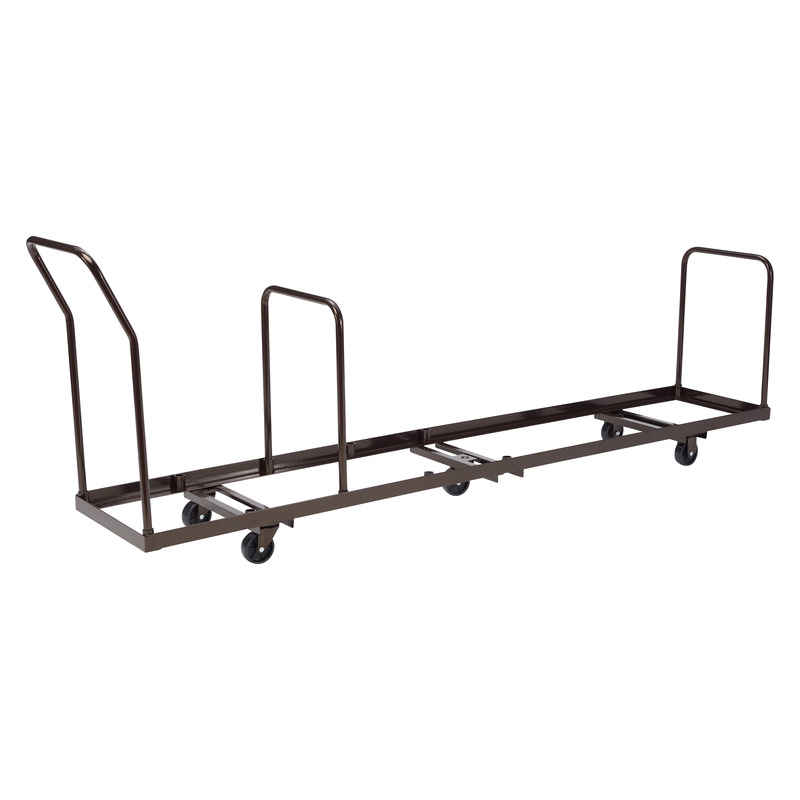 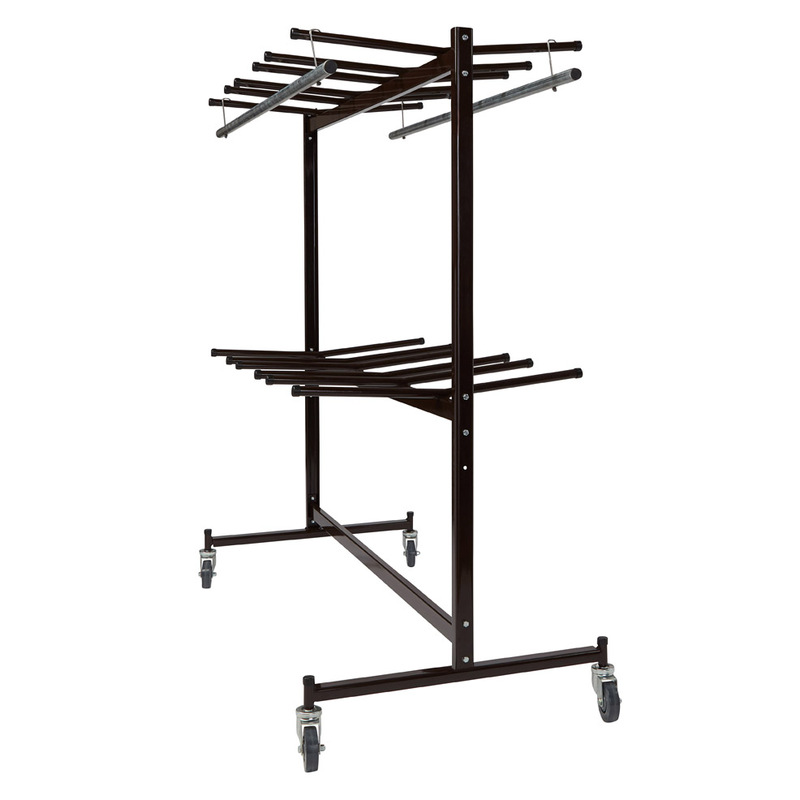 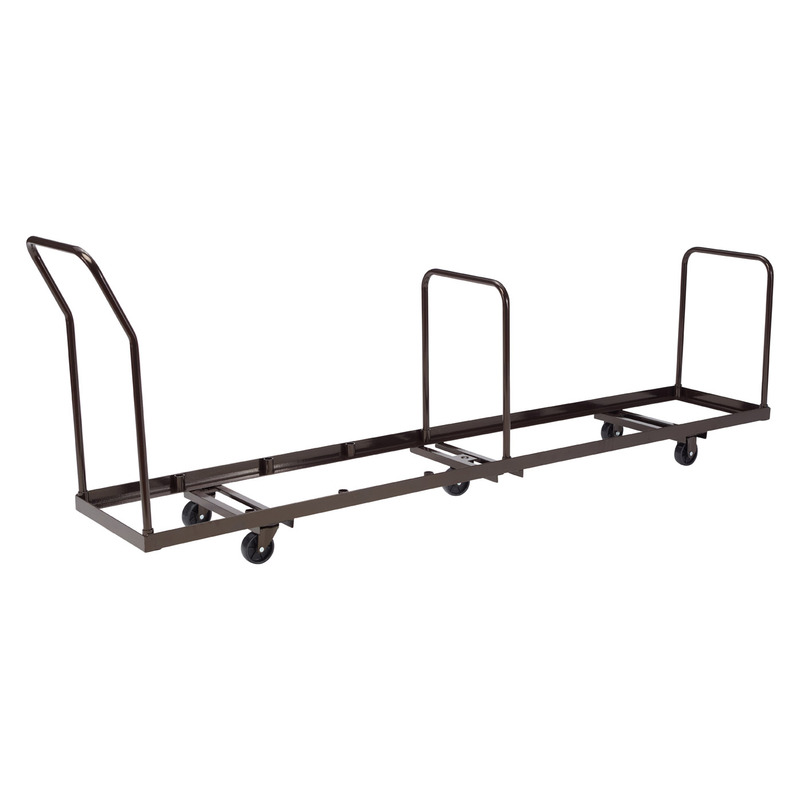 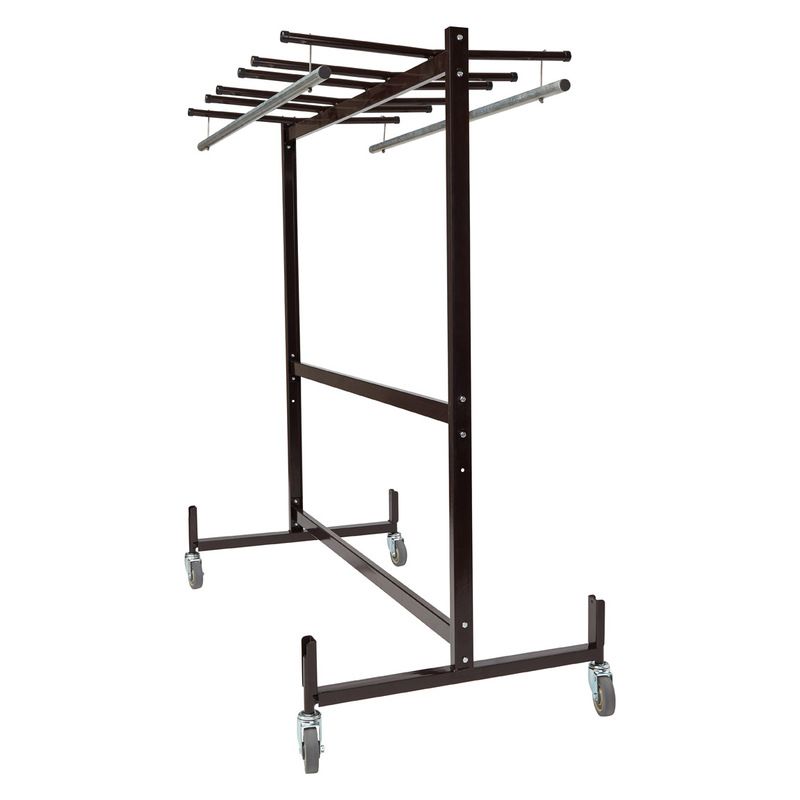 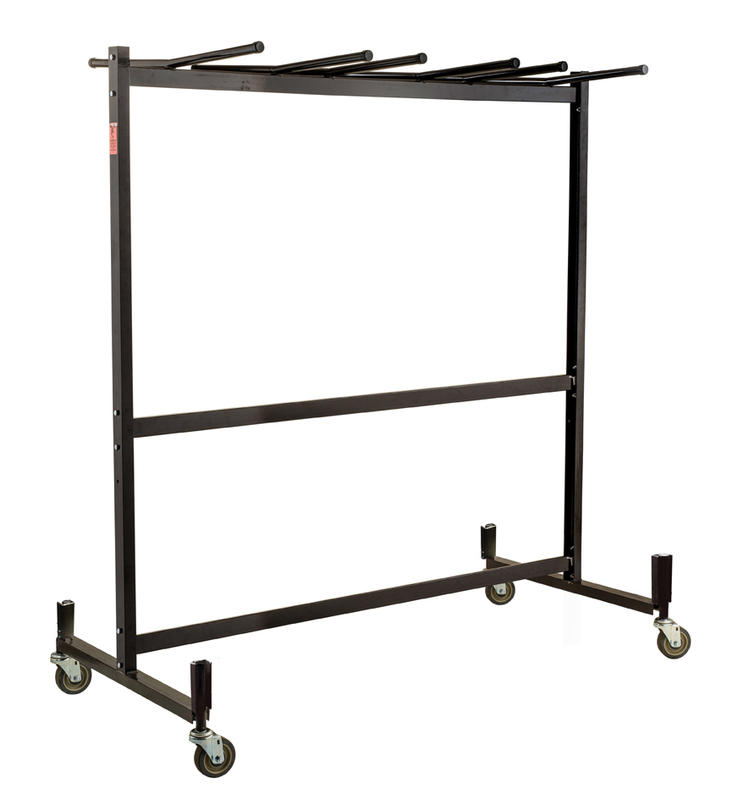 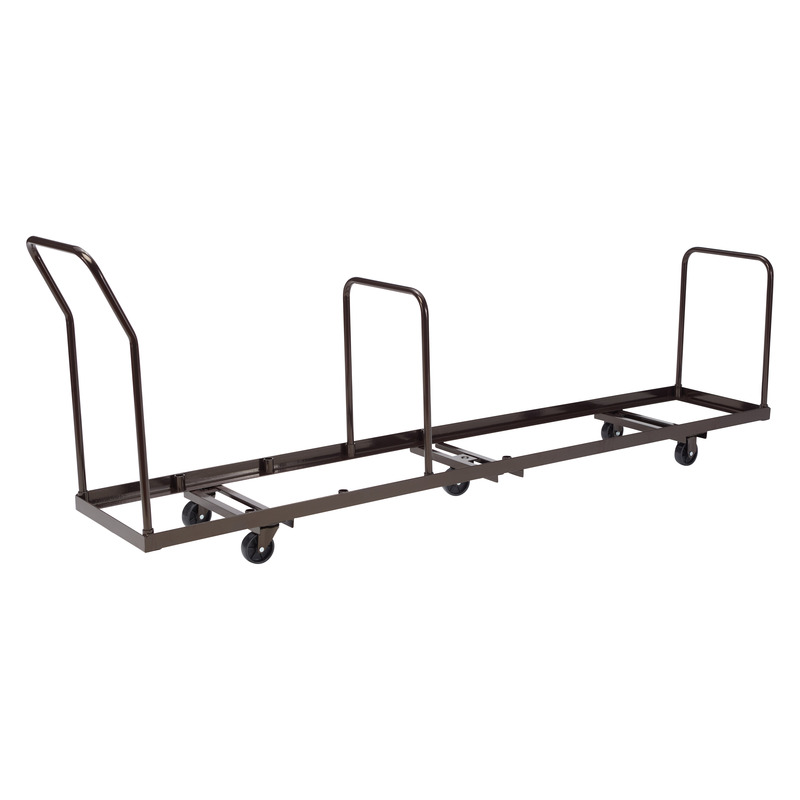 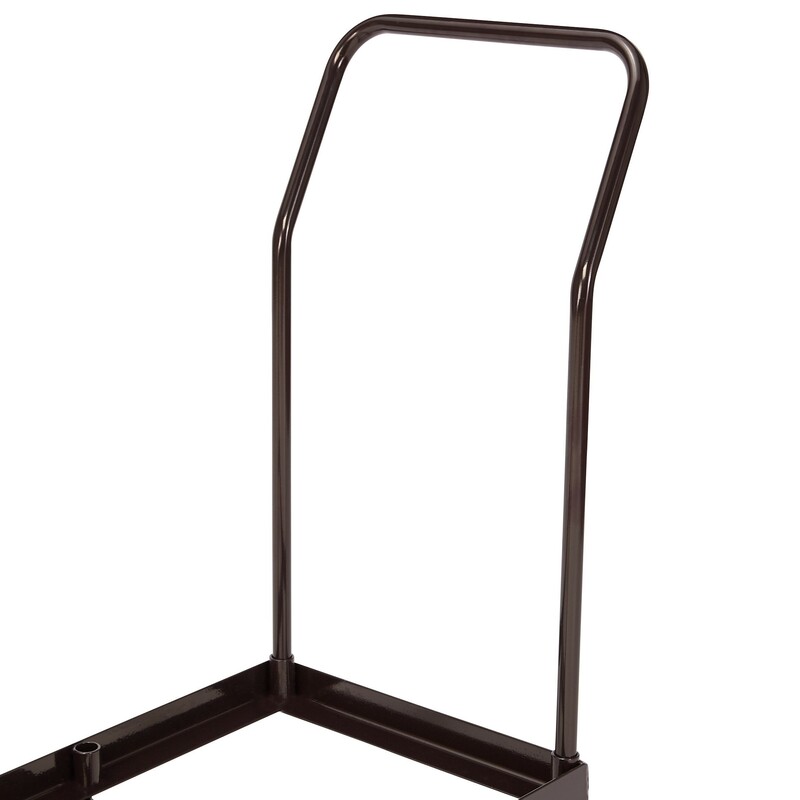 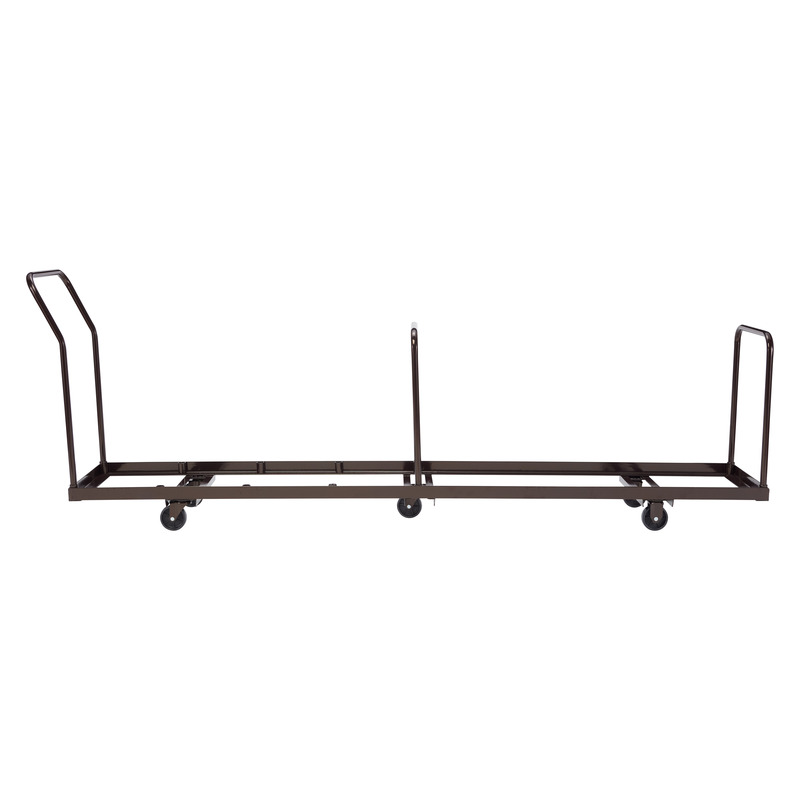 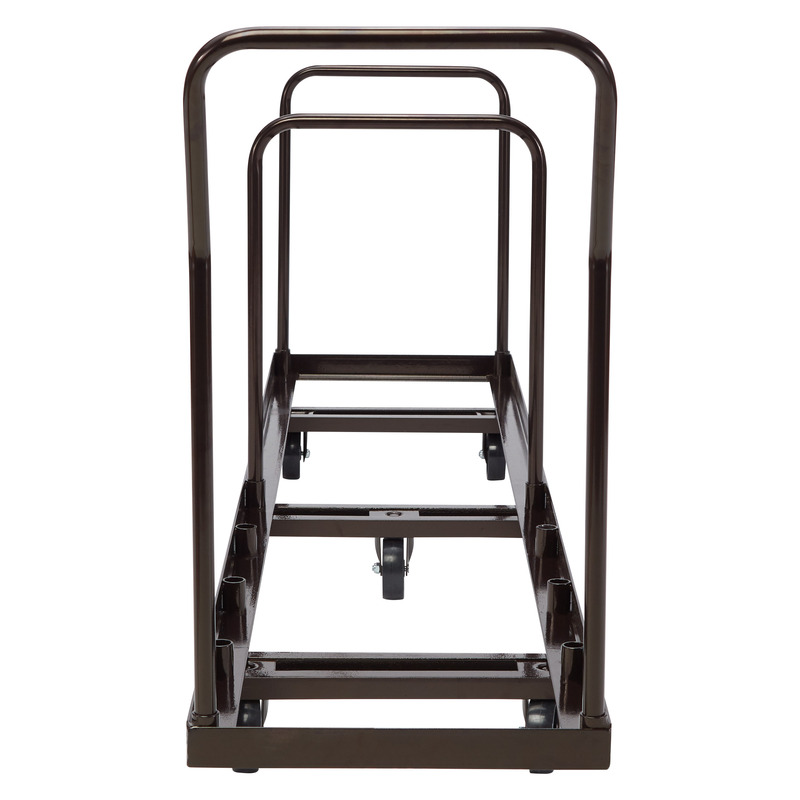 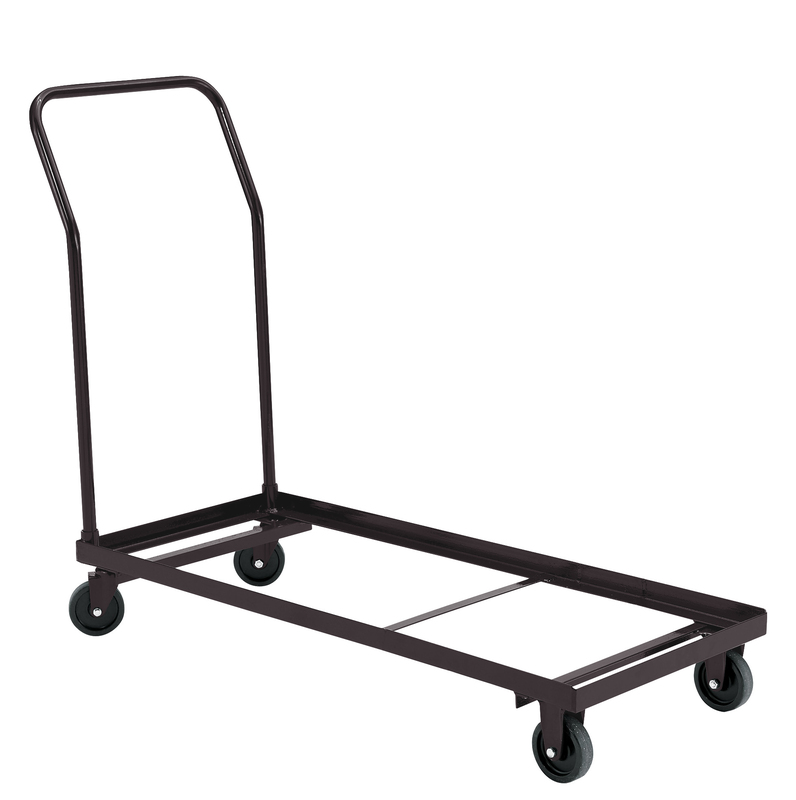 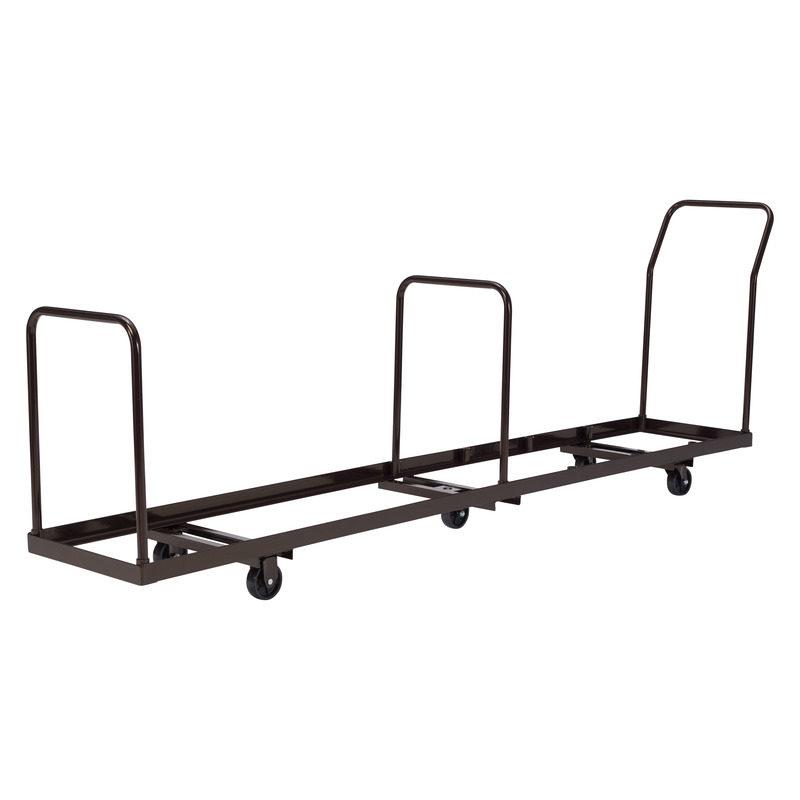 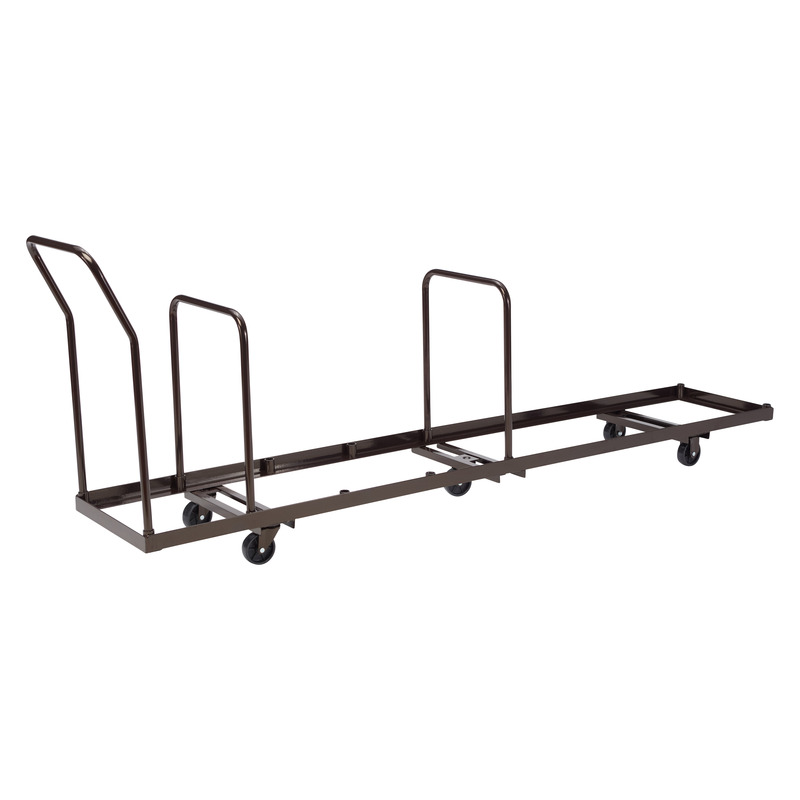 Features three institutional-grade tubular handles and five nylon casters (two that swivel) to enable easy maneuvering of a fully-loaded dolly. 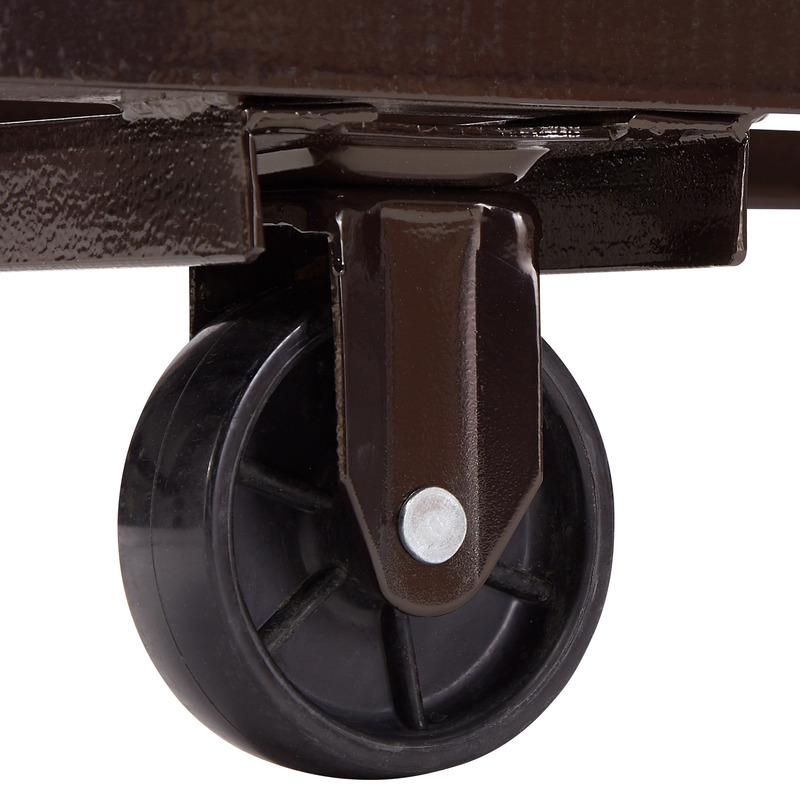 Each caster boasts a 275 lb. 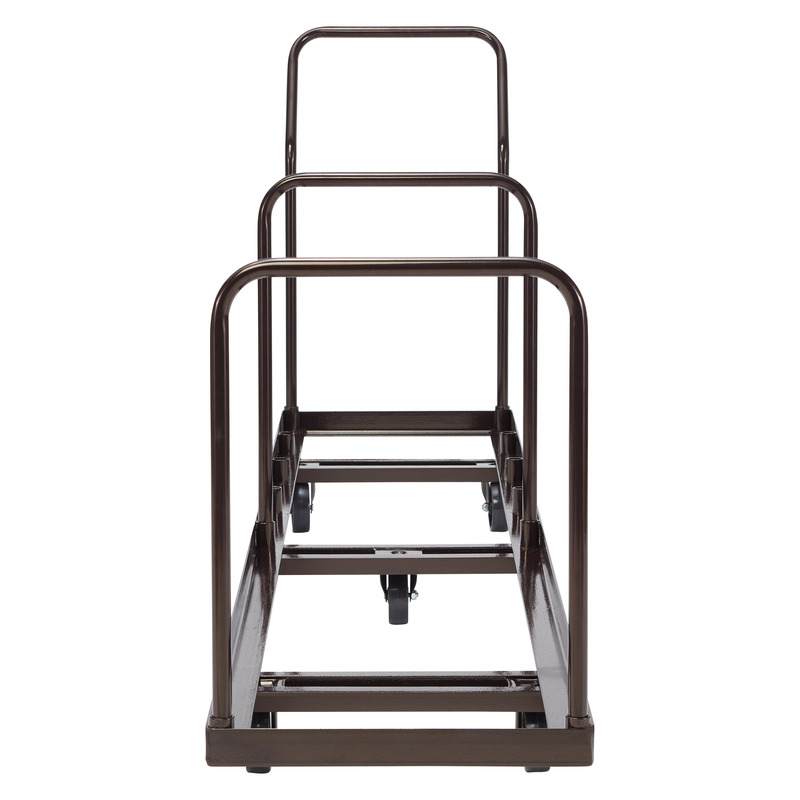 weight capacity for a total of 1375 lbs. 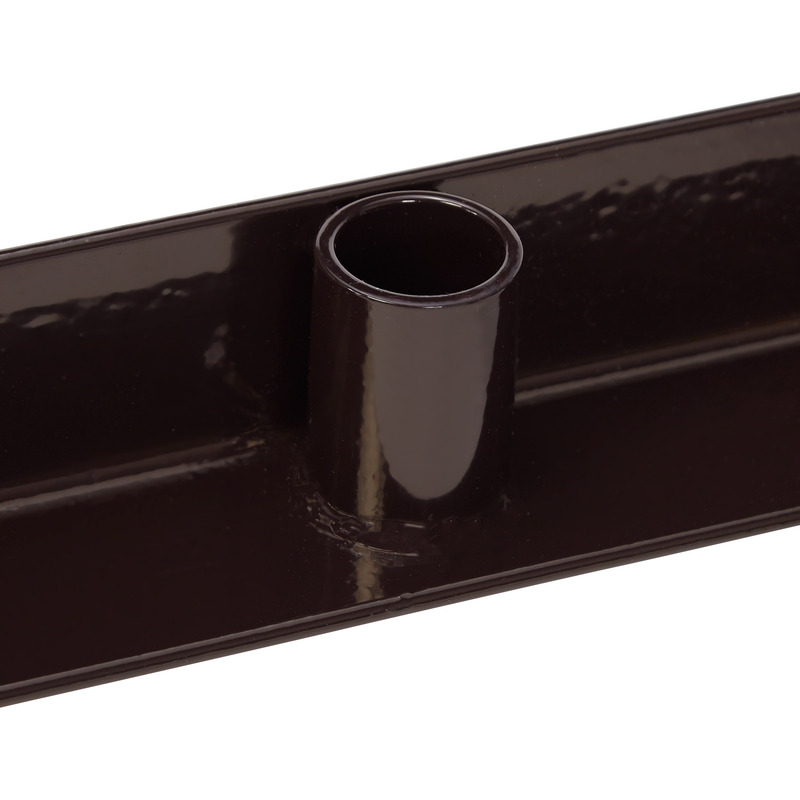 Solid steel construction has a brown powder-coated paint finish.